Mimas hides in the shadow of Saturn's rings. Time to go “all way back” to 2006! 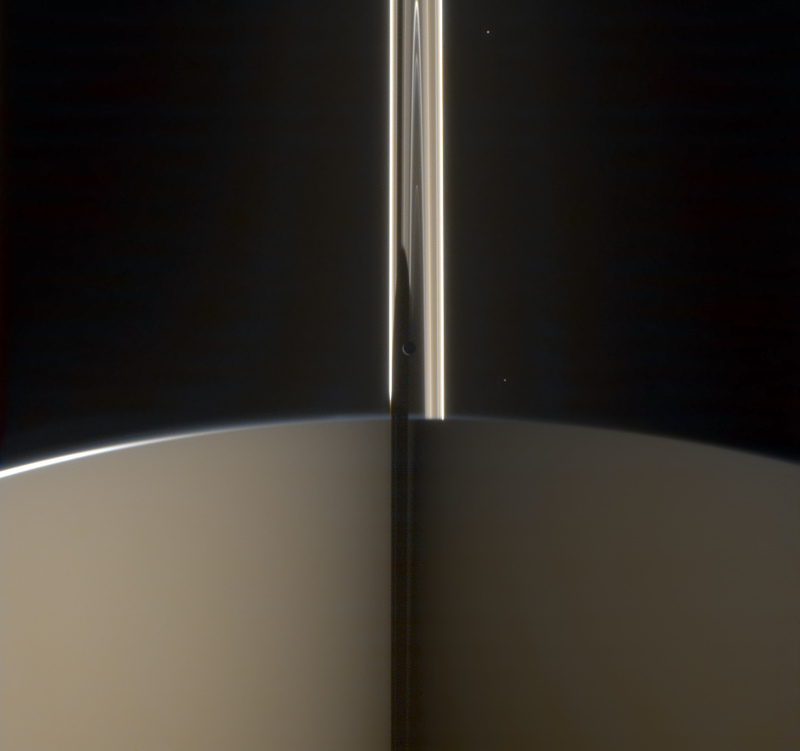 In this Cassini image beautifully color calibrated by Gordan Ugarkovic we see the moon Mimas tucked into the shadow of Saturn’s rings. Nicknamed the “Death Star” moon, Mimas features a large crater with a sharp central peak, giving it a striking resemblance to the infamous sci-fi space station. This image was captured on June 7, 2006.
Credit: NASA / JPL / SSI / Gordan Ugarkovic. See this and more of Gordan’s color composites on his Flickr page here. Next Post Did We Find Life On Mars… 35 Years Ago? WOW!!!!!! That is a stunning picture!! !